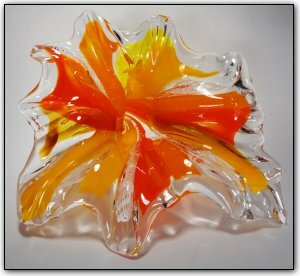 This delicious citrus orange sitting flower captures the essence of a splash of water frozen in time. This flower is also accented with an ornate cane patterning. Add elegance to any room with this beautiful hand sculpted work of art.